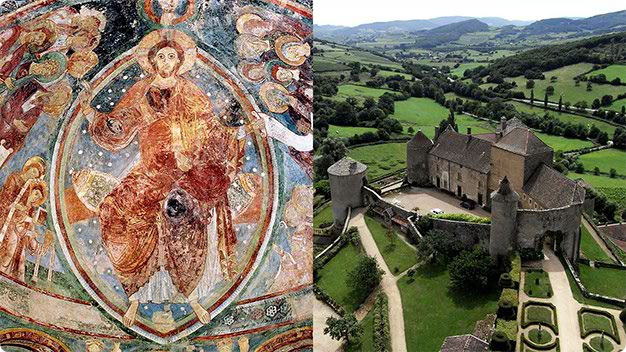 Treasure of the Romanesque art. Romanesque frescos from the 12th century of Byzantines inspirations (registered as a Historical Monument). These frescos are the only way to try to imagine how the great Abbaye of Cluny could have been decorated. Tickets also available at the Tourist Office.